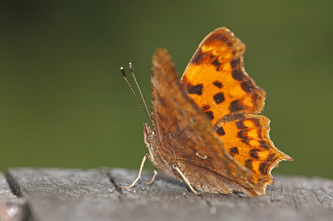 The uppersides are some shade of orange with sooty-brown markings, and with paler spots close tot the deeply indented or jagged margins. 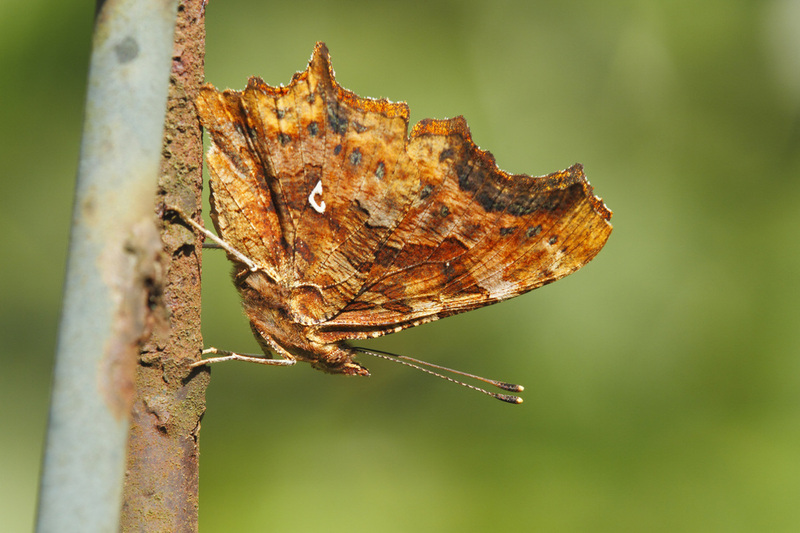 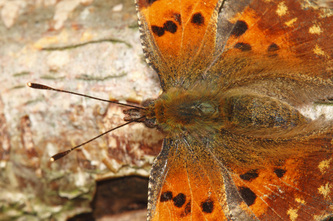 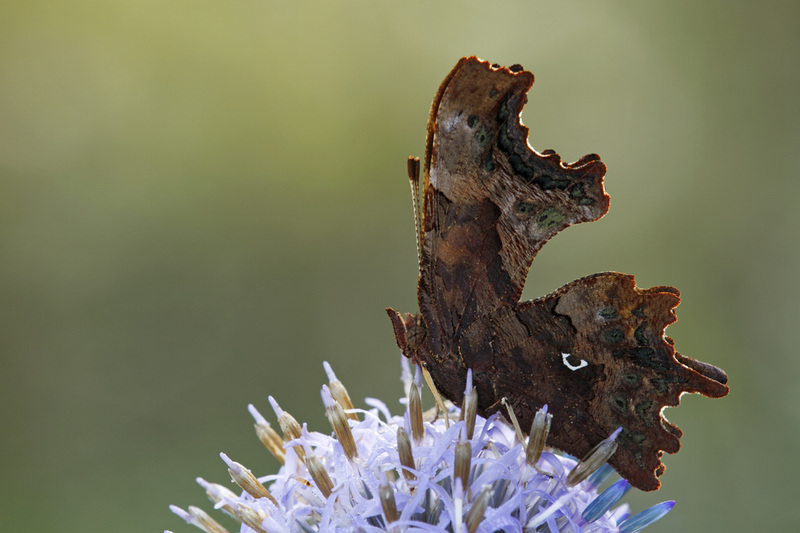 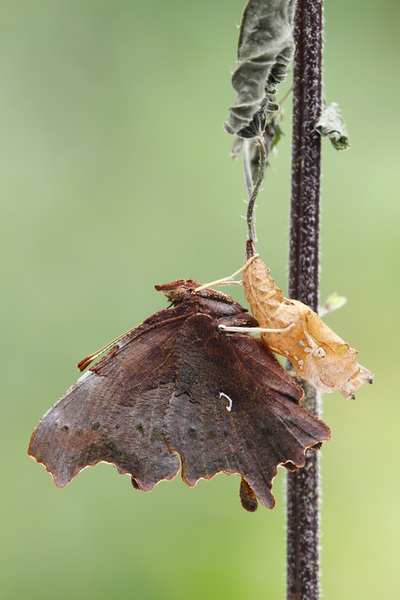 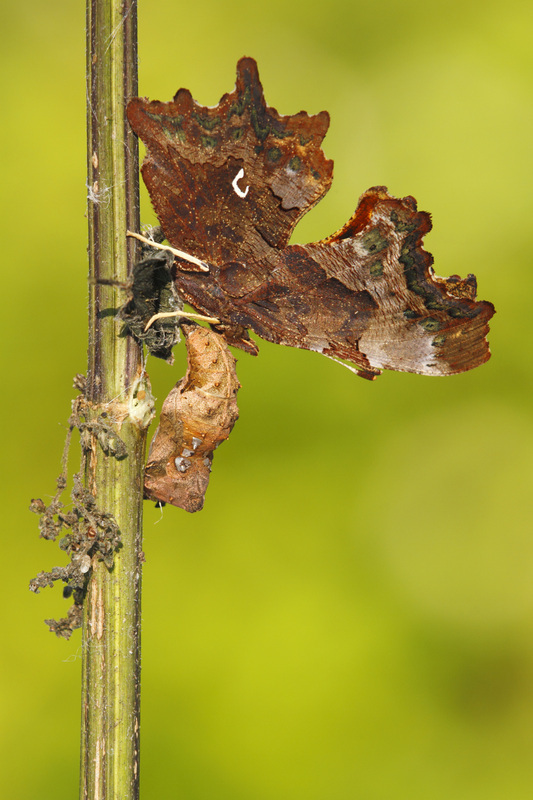 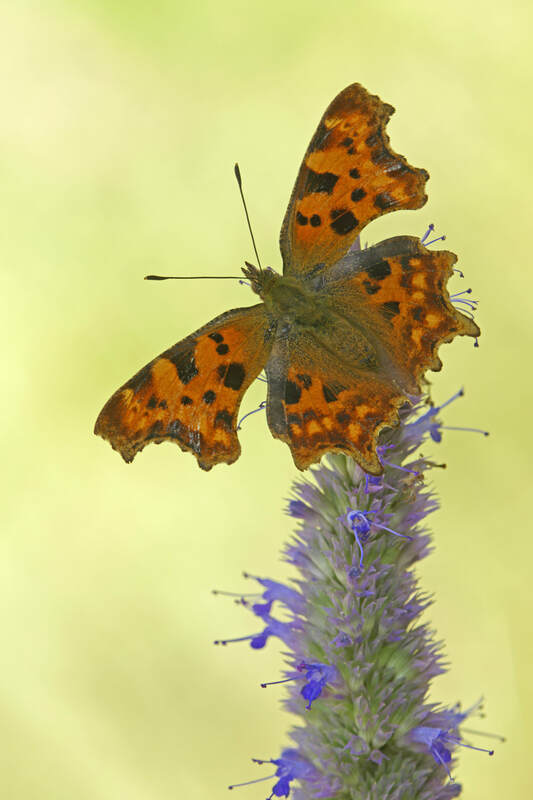 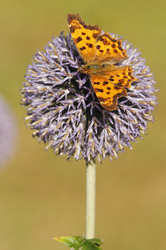 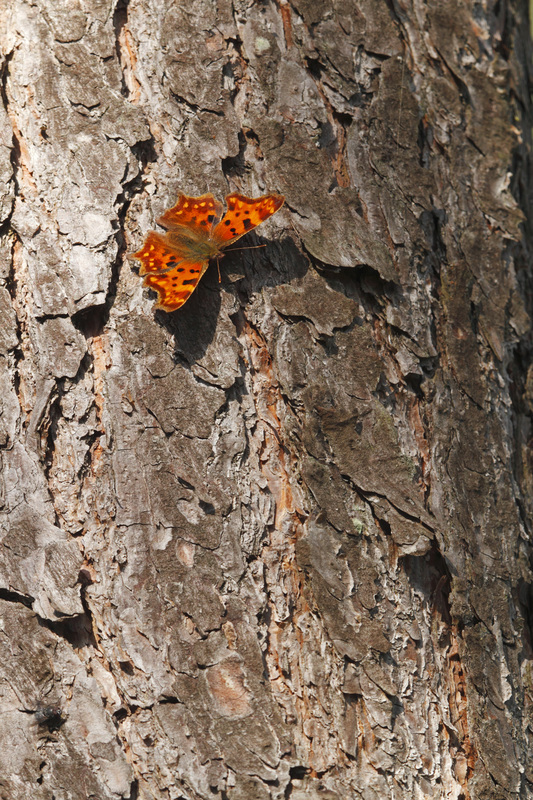 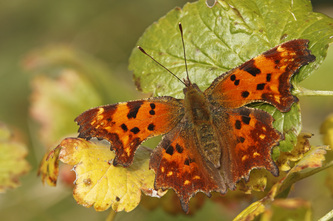 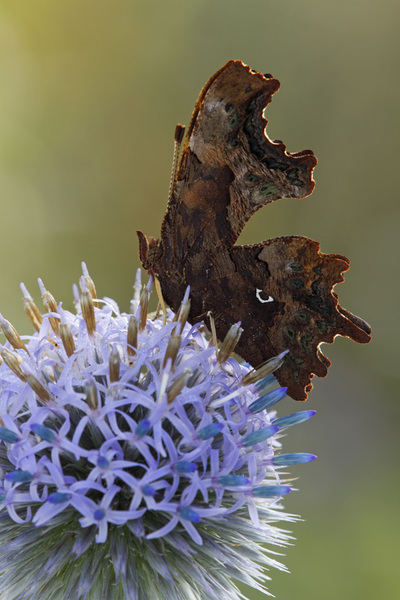 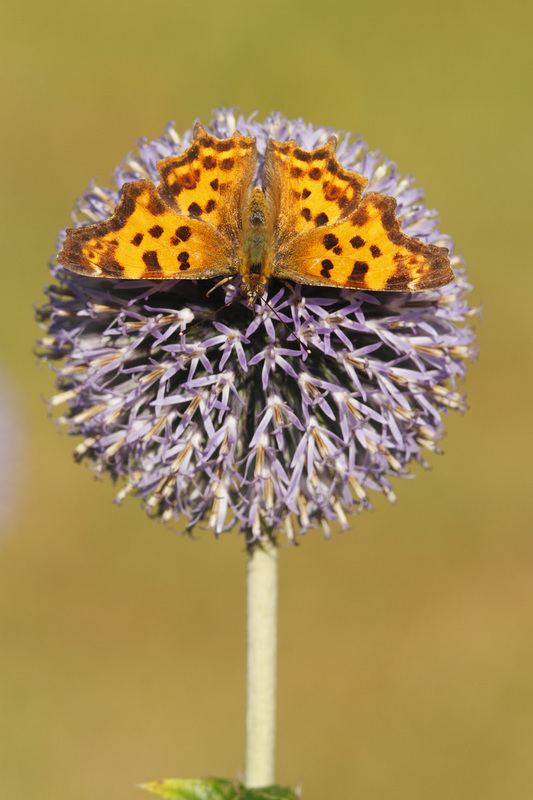 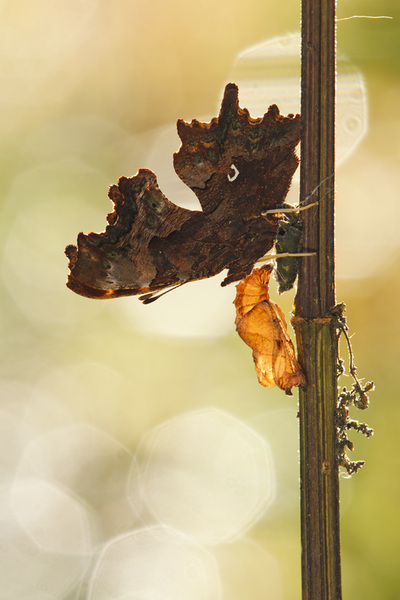 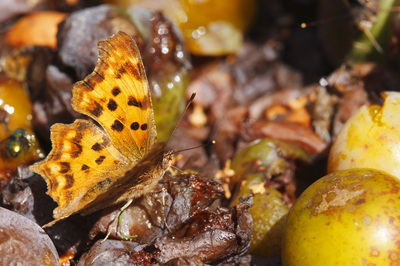 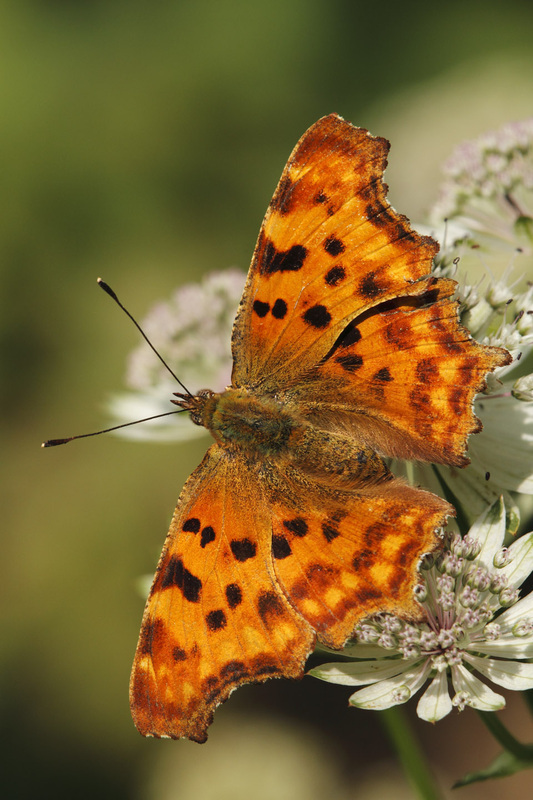 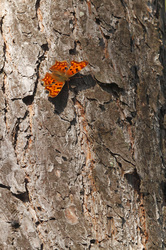 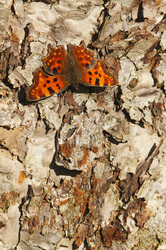 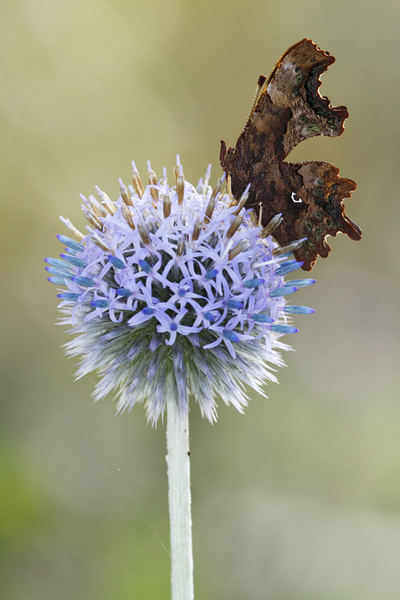 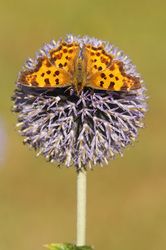 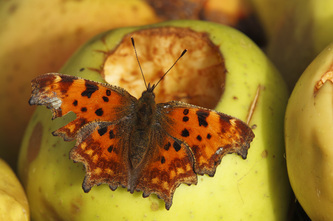 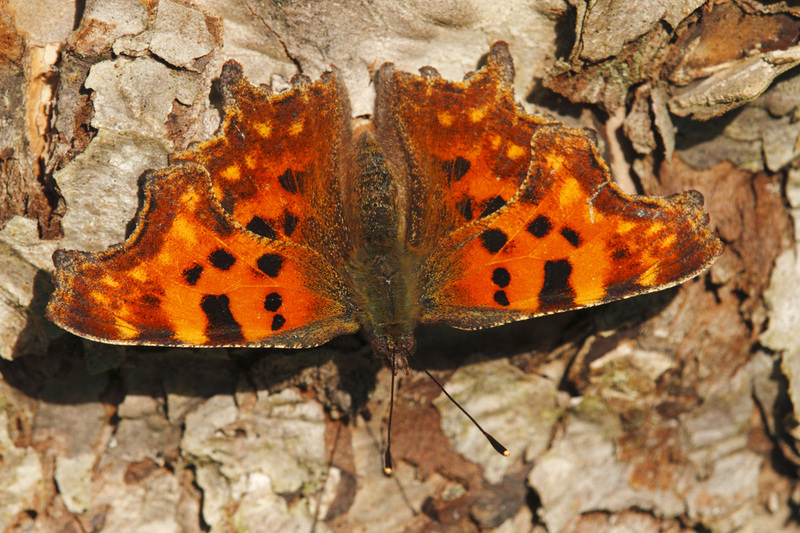 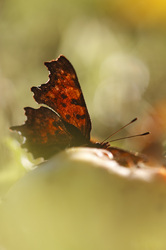 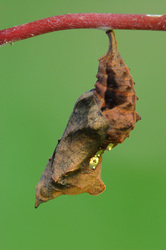 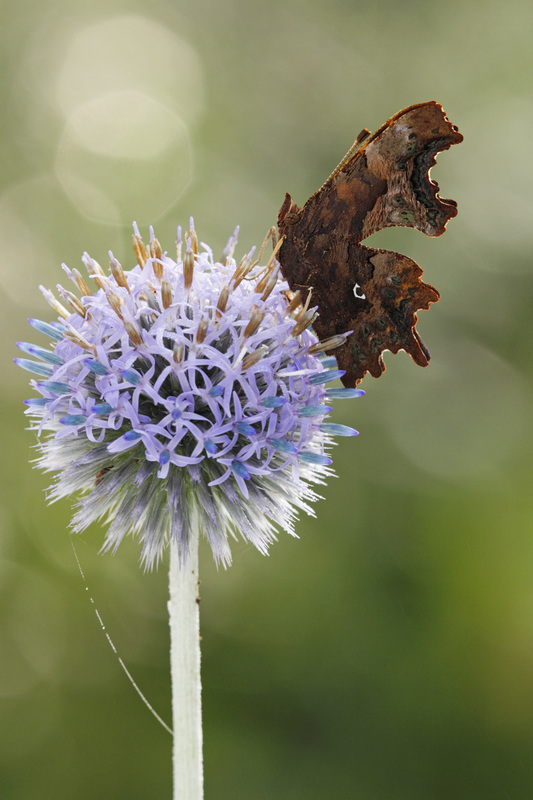 The undersides are mottled brown and resemble dead leaves, and the hindwing carries the white comma-shaped mark. 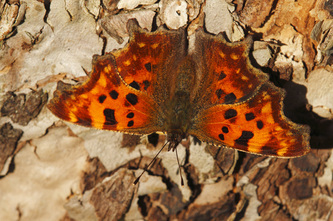 Flight from June to September in two broods and again in spring after hibernation. 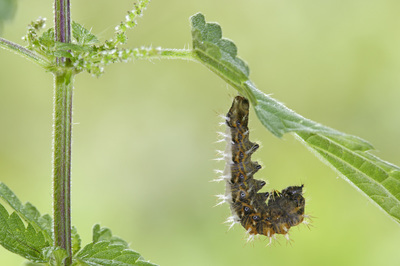 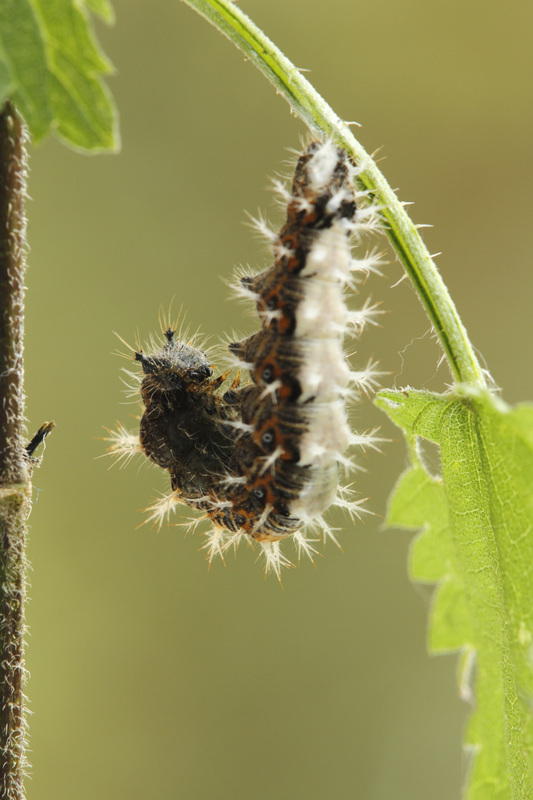 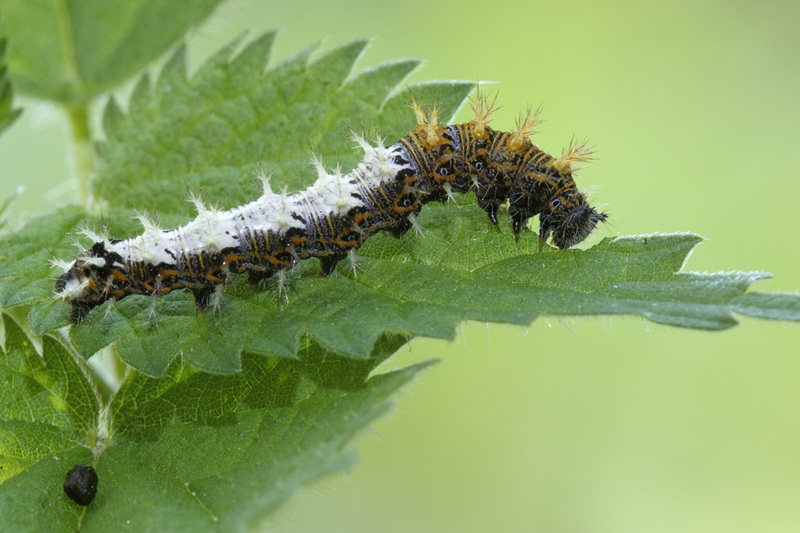 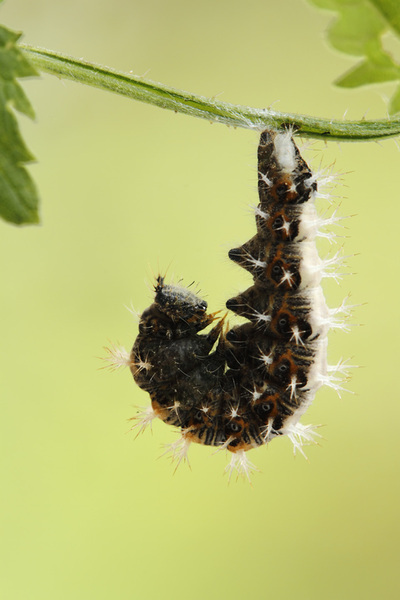 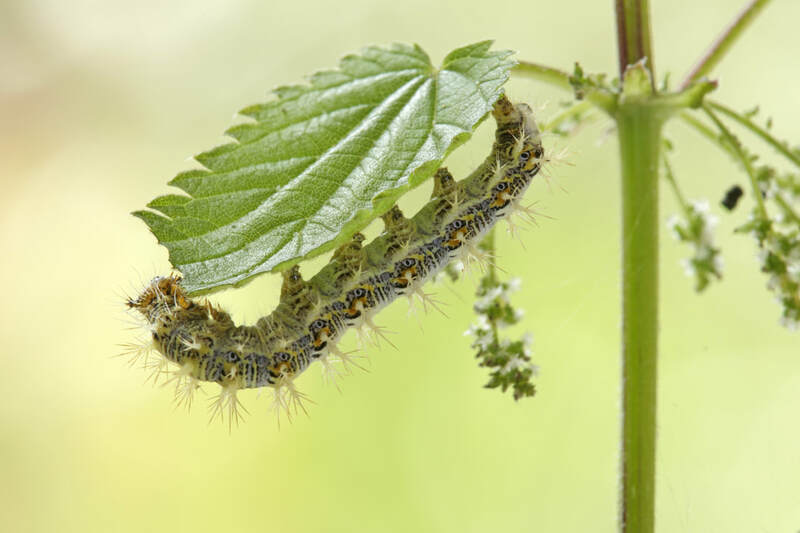 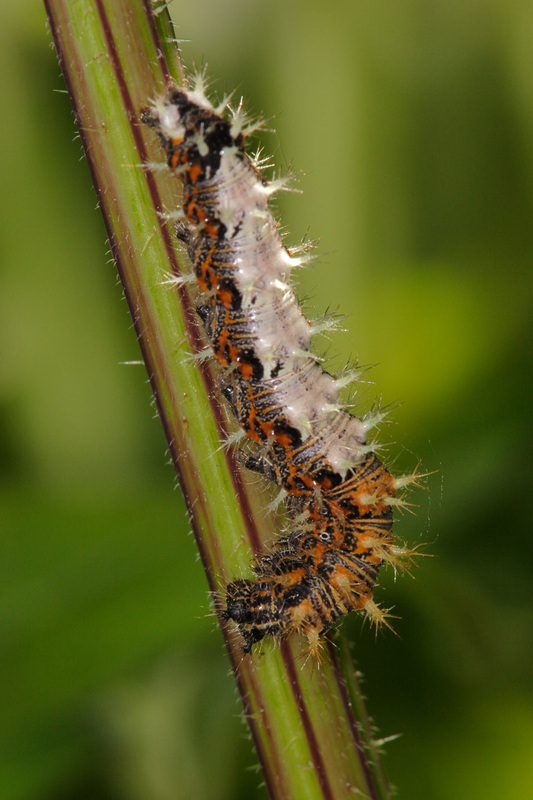 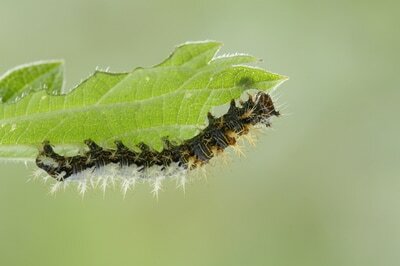 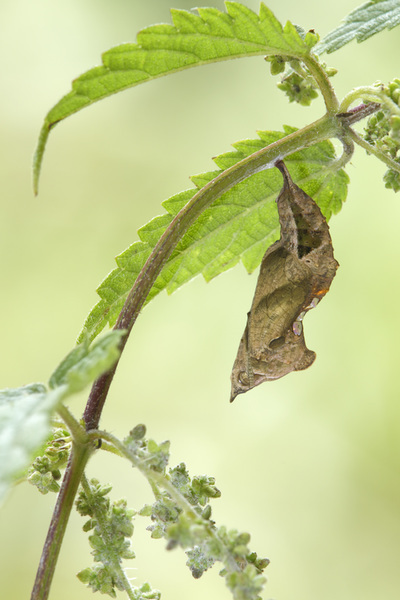 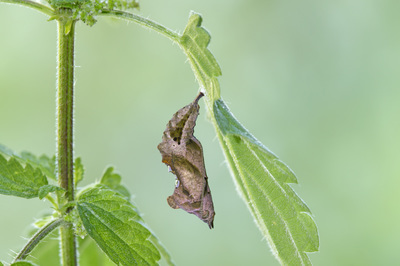 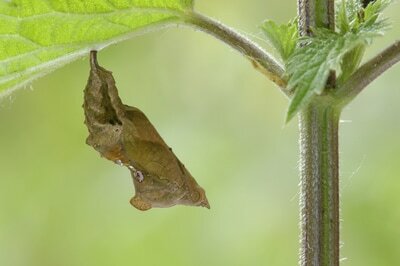 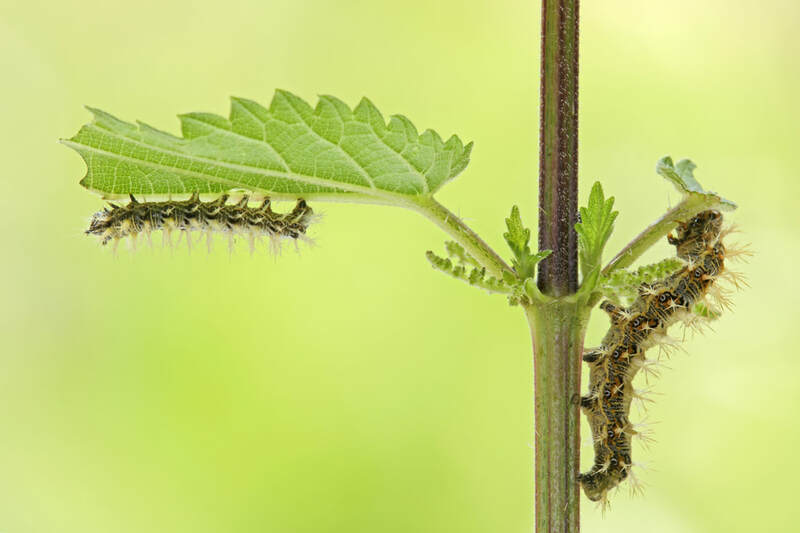 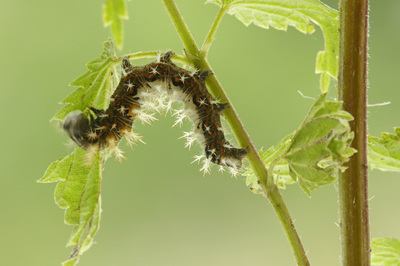 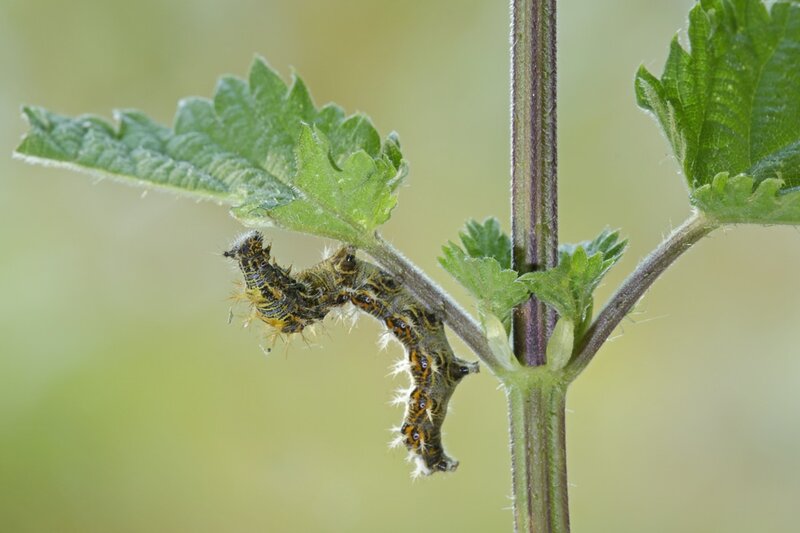 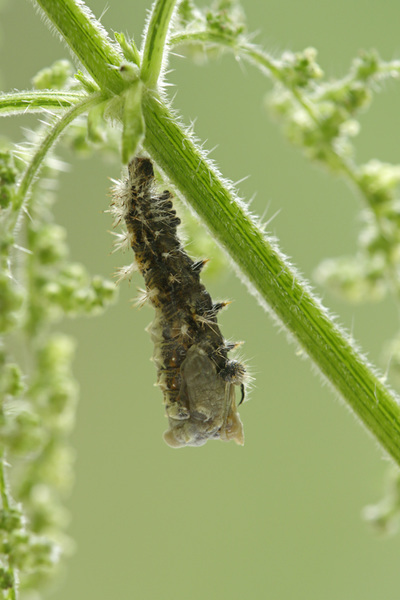 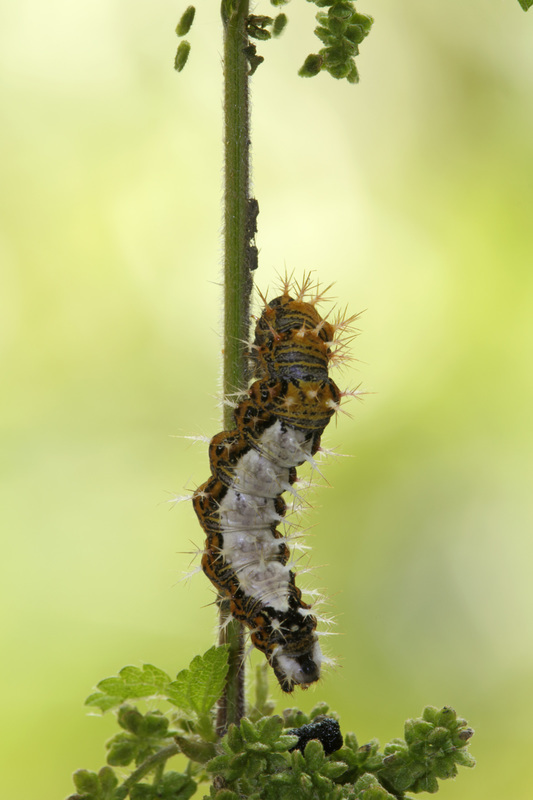 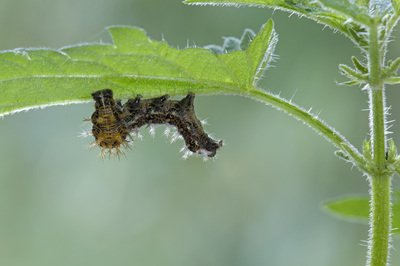 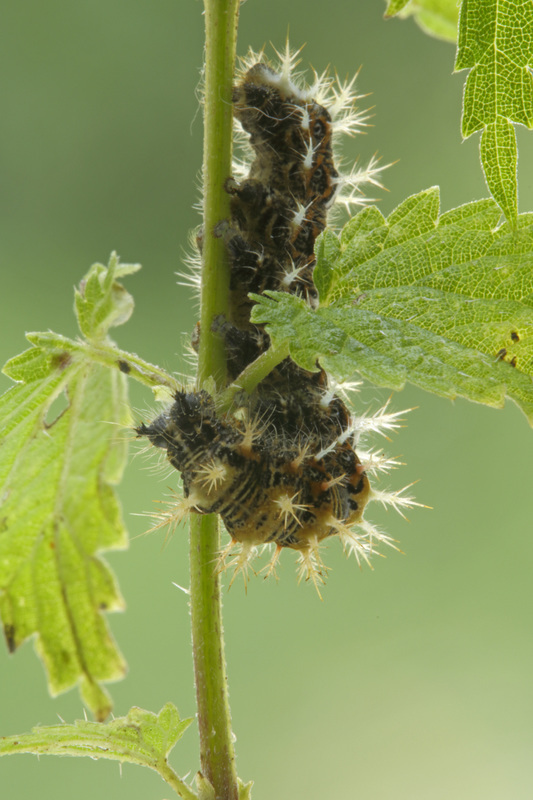 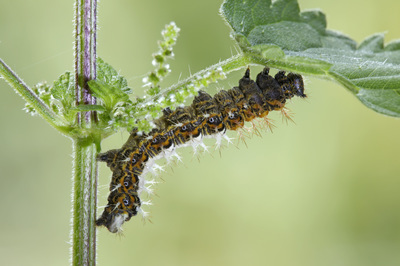 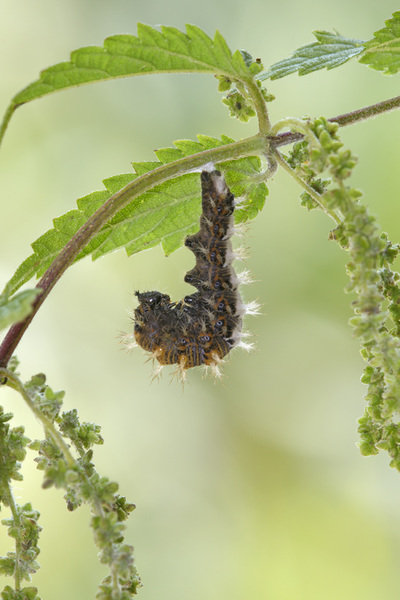 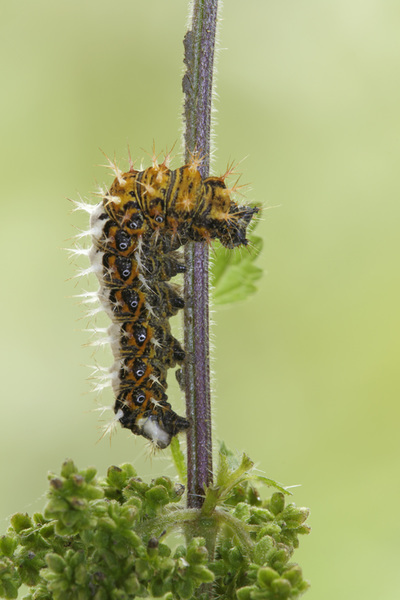 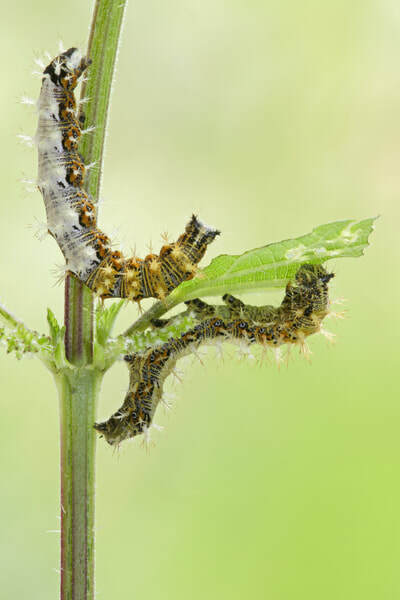 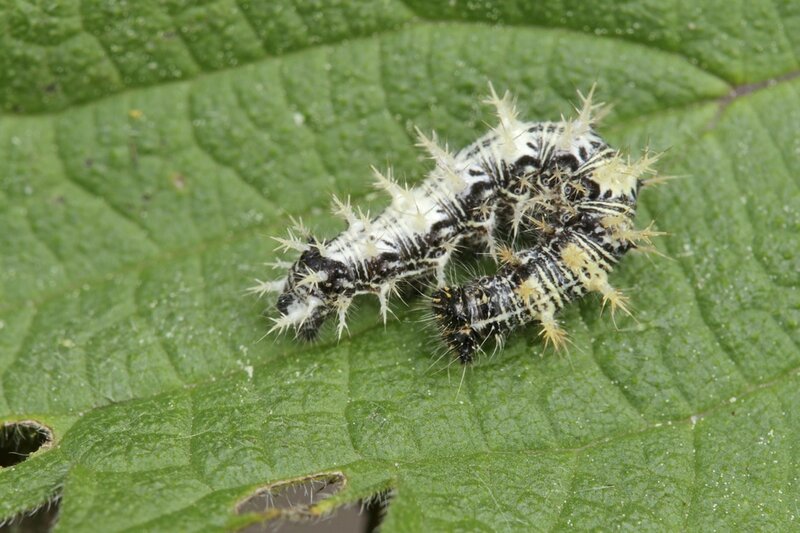 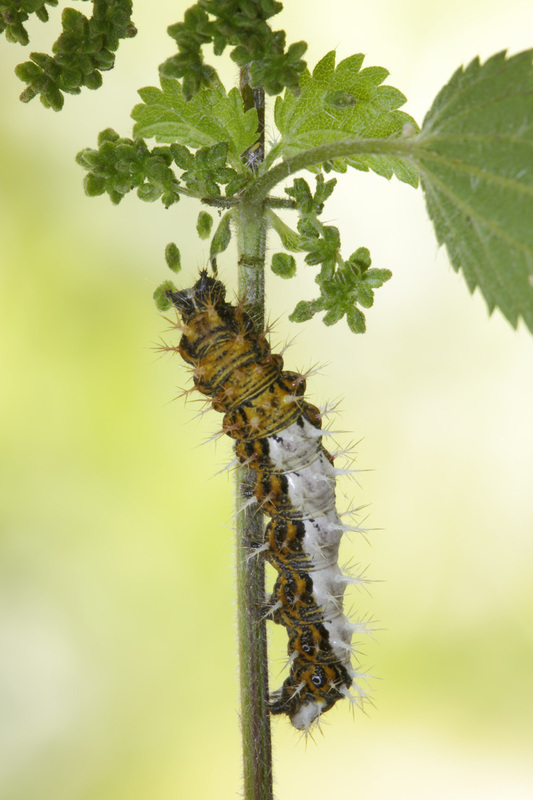 The larval foodplants include Hop, Stinging Nettle, Elms and Sallows. 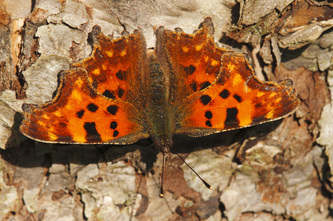 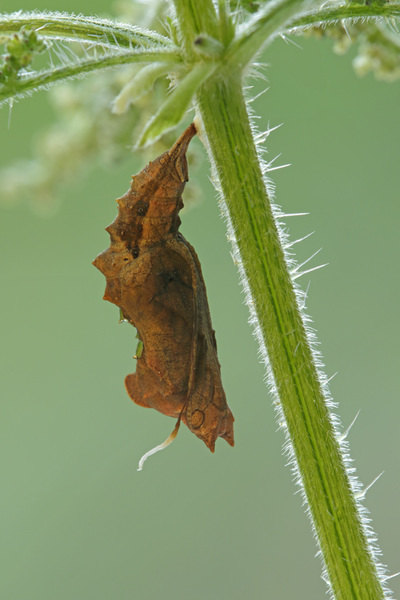 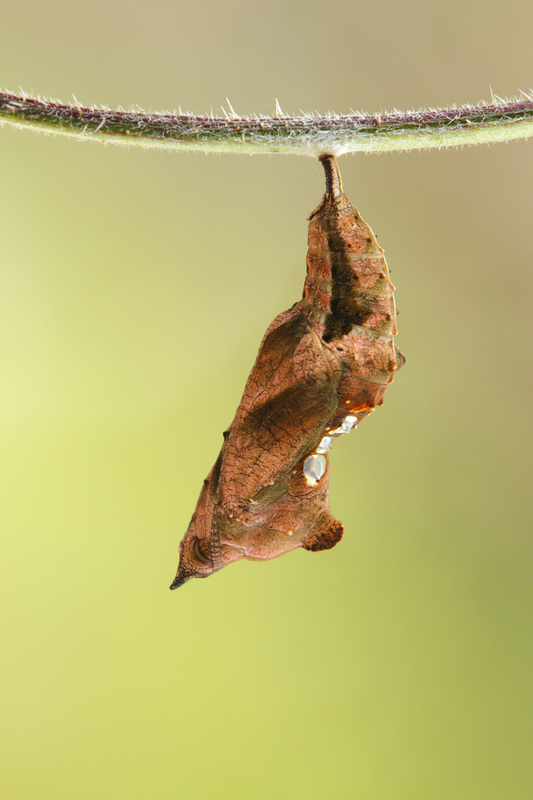 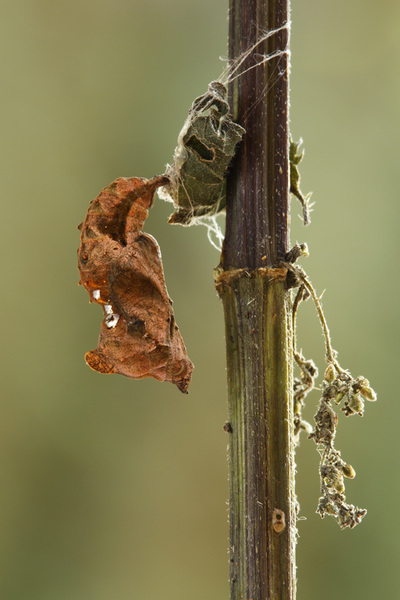 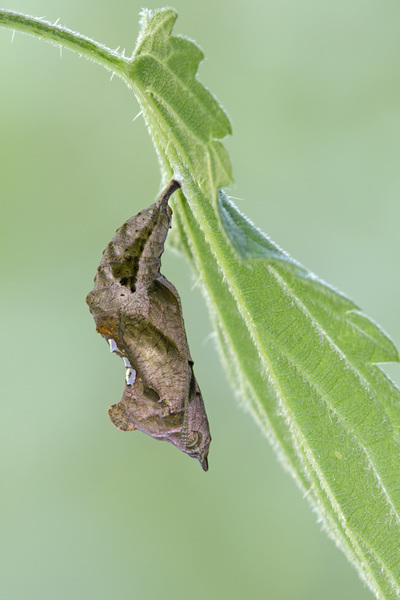 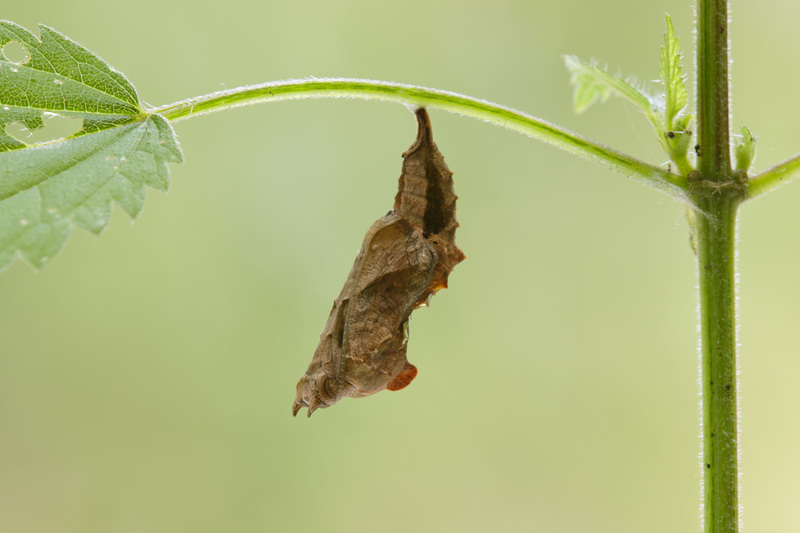 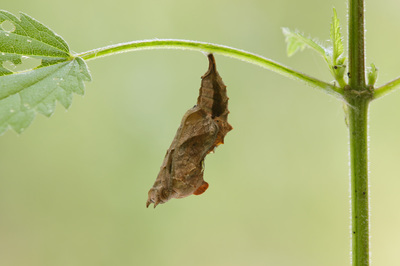 This link will lead you to the metamorphosis of the Comma Butterfly.